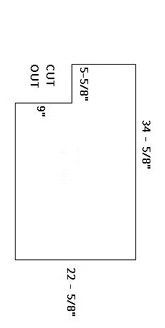 The 143PAN is a replacement feret cage pan fitting the following Midwest Feret Cage Models. This is the feret cage pan with the corner-cutout. 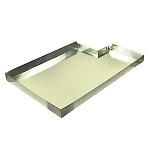 If you are looking for the solid feret cage pan see the 142PAN Feret Cage Pan. *Note: Image might be slightly different from actual pan. The image is to show you that you are purchasing a replacement pan for a Midwest Feret Cage.